Throughout his career, Adam Hunter joined professional organisations that provided useful opportunities for networking with engineers and other like-minded colleagues. When he was 22 years old, in 1891, he became a member of the Junior Engineering Society, which was founded in 1884 and renamed the Institution of Junior Engineers in 1893. He later served as its Vice President. On 3rd December 1895, he was elected an Associate Member of the Institution of Civil Engineers (ICE), transferring to full Member on 20th April 1909 — the present-day equivalent of Fellow. In 1906, Hunter became a Member of the Institution of Engineers and Shipbuilders of Scotland (inaugurated 1857) and was later Vice President. And he did not neglect his connections in the USA. He was elected an Associate Member of the American Society of Civil Engineers on 6th September 1905 and became a full Member on 2nd May 1911. In 1910 he was awarded the ICE's Telford Medal and Premium for a joint paper with Associate Member Francis Charles Buscarlet (1866-1958) — Queen Alexandra Bridge over the River Wear, Sunderland. One of the books he chose as his prize was the 1902 classic on bridges, Croquis de Ponts Metalliques by Jules Gaudard (1833-1917). He was elected a Member of the Institution of Structural Engineers (IstructE) in 1923, and also served on its council. 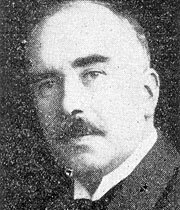 His 1929 keynote paper, Erection of Metallic Bridges, to the institution was considered by its then President, Lt Col John Mitchell Moncrieff CBE (1865-1931), to be of "inestimable value to the young members of the profession" and his overseeing of the new Wearmouth Bridge, a replacement for the historic Sunderland Iron Bridge of 1796 was "a very clever piece of work". Hunter was President of Glasgow University's Engineering Society. In 1925, he was also President of the ICE's Glasgow Association of Students (founded 1884, later renamed Glasgow & West of Scotland branch). His opening address to the Association on 18th November 1925 — The Construction of Bridges (published 1926) — is an accomplished review of bridge engineering development from the Roman bridge over the Danube of AD105, between present-day Serbia and Romania, onwards. Hunter was also a member of the Royal Philosophical Society of Glasgow, the Liberal Club of Glasgow and the Engineers' Club of London. He served on a number of British Engineering Standards Committees, including the Committee on Bridge Loads and Stresses.